A 6-year-old girl presented with her first focal seizure involving her right arm with head turning to the right and eyes deviated to right. The seizure secondarily generalizes. A CT scan was done after the onset. 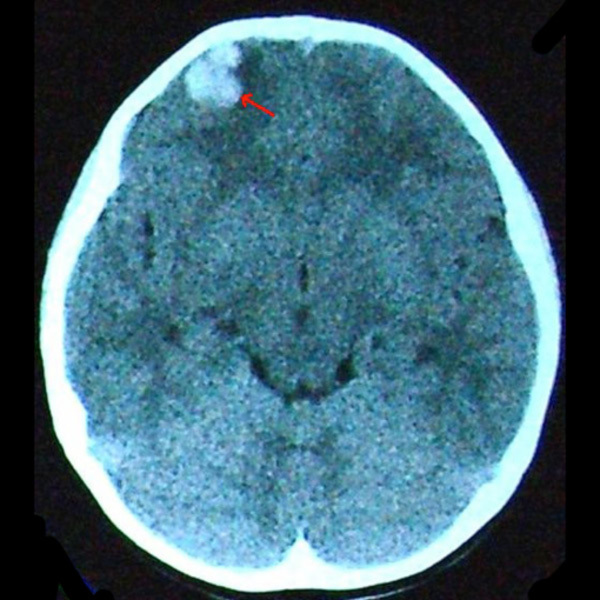 Unenhanced CT scan of cavernous malformation: Image obtained at presentation shows a hemorrhagic lesion (red arrow) at the pole of the right frontal lobe. She was treated conservatively and put on an anticonvulsant. 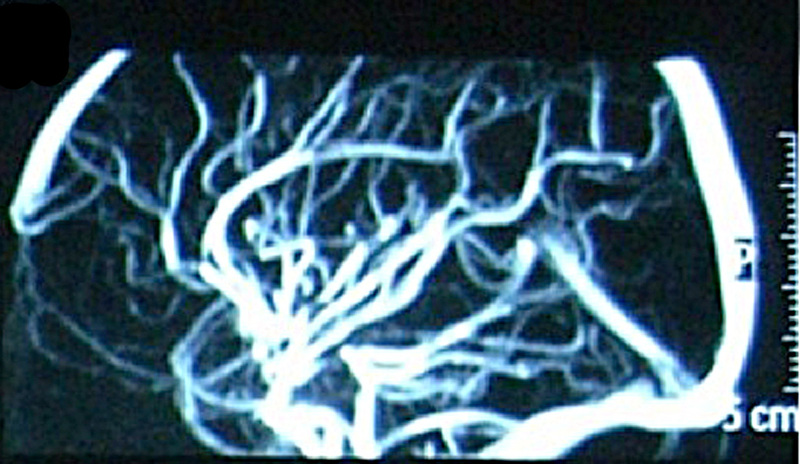 An MRI was obtained 3 months later. 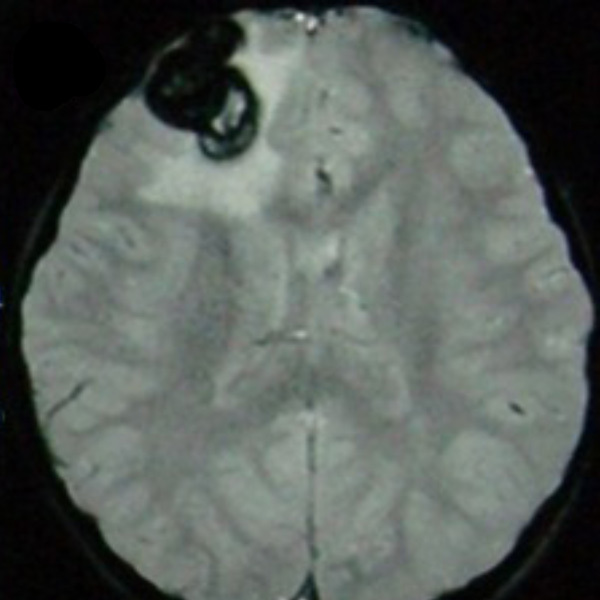 Unenhanced T1-weighted axial MRI: The lesion in the right frontal pole is hyperintense, consistent with subacute hematoma. 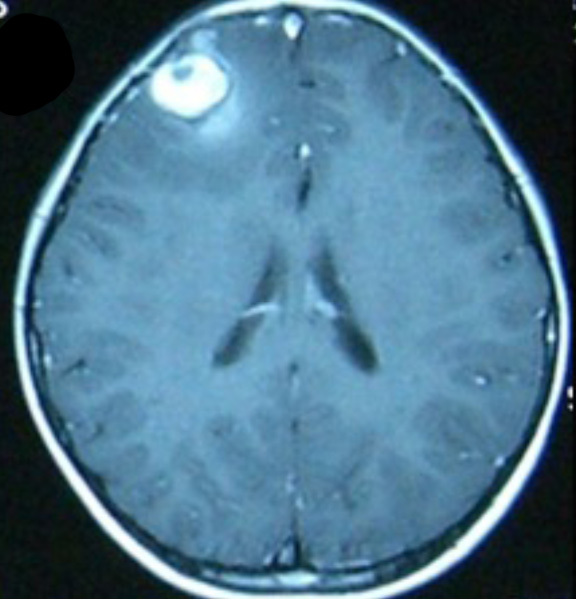 It is irregular in shape and extends beyond a hypodense dark rim, suggesting an overt hematoma. Contrast-enhanced T1-weighted axial MRI: There is mild contrast enhancement. 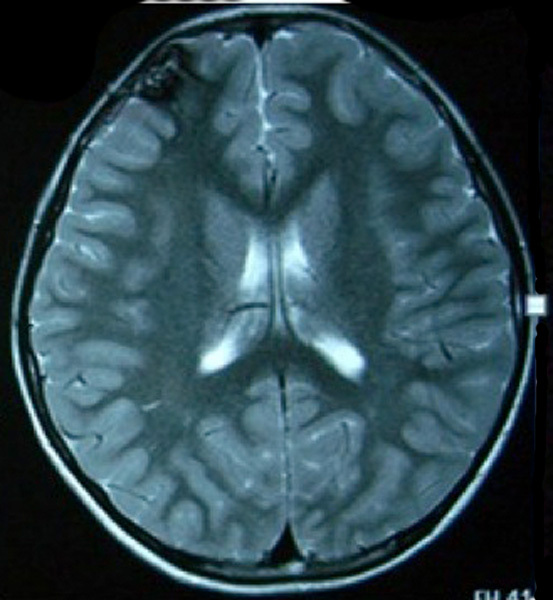 T2-weighted axial MRI: The dark rim can be seen more clearly. It represents hemosiderin from the hematoma. Focal edema is present. 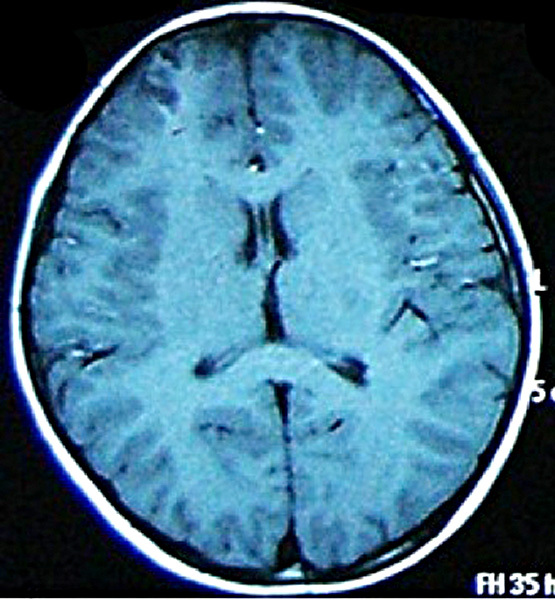 GRE axial MRI of multiple cavernous malformations: The lesion is dark and amplified, representing the blooming artifact of hemosiderin on GRE MRI sequence. 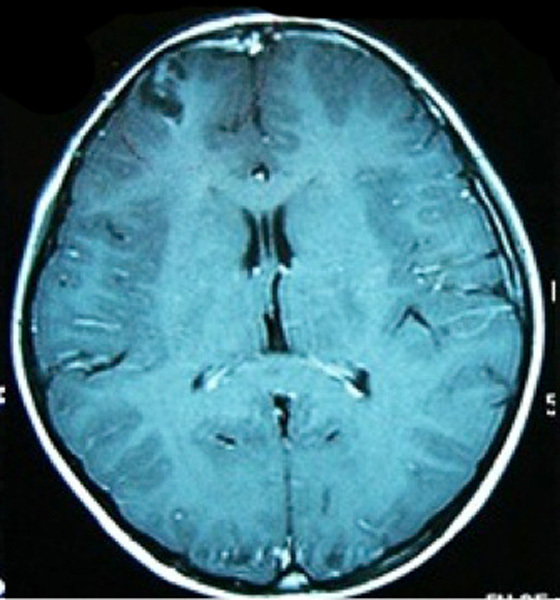 Sagittal MRA of same patient: No abnormal vascularity is seen in the frontal area. 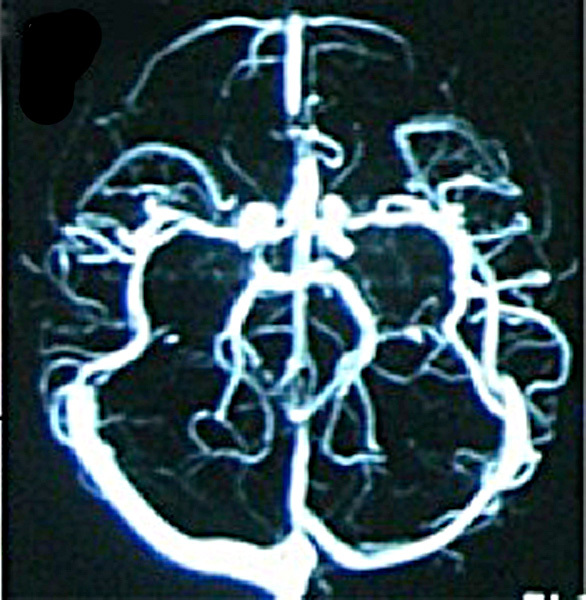 Axial MRA of same patient: There is no evidence of an AVM. 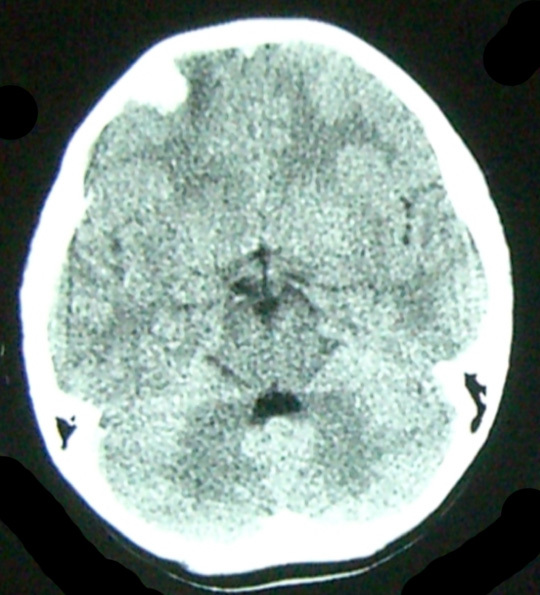 The patient had another seizure 11 months after the first attack. 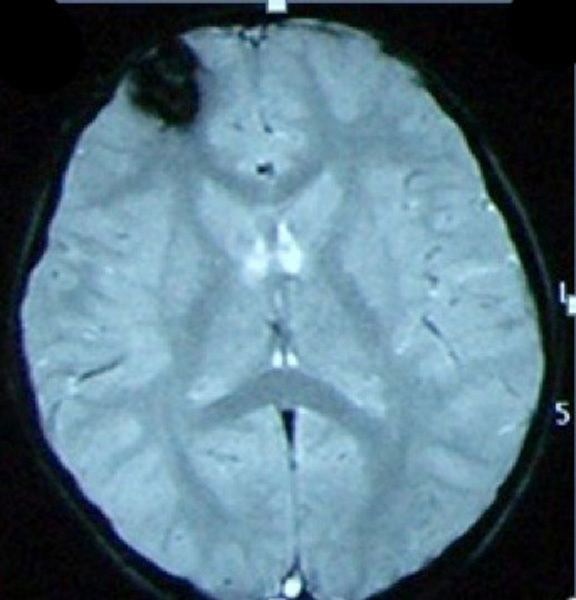 Axial CT scan: The image shows an acute hemorrhage in the right frontal pole. A follow-up MRI was obtained 1 year after the first seizure attack and 1 month after the second attack. 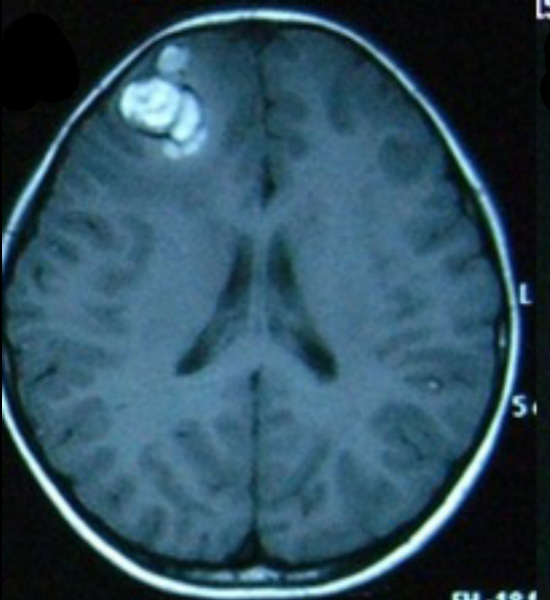 T1-weighted axial MRI: The lesion in the right frontal pole has become hypointense and smaller than it appeared on the previous MRI because the hematoma has resolved. Gadolinium-enhanced T1-weighted axial MRI: There is mild contrast enhancement. This may represent the cavernous malformation. 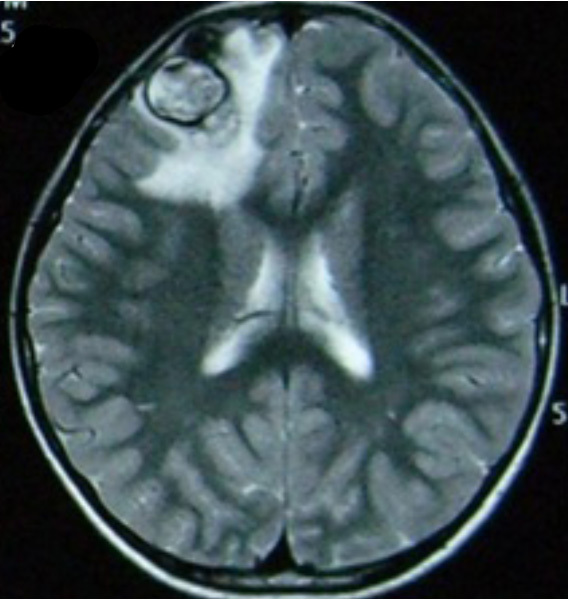 T2-weighted axial MRI: The lesion is dark due to the hemosiderin. The focal edema has disappeared. GRE axial MRI of multiple cavernous malformations: The blooming artifact of hemosiderin persists. 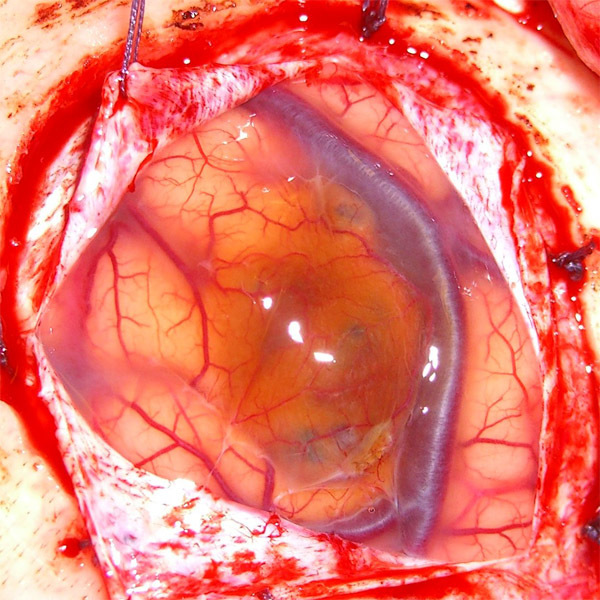 Operative photograph of cavernous malformation: A hemosiderin-stained lesion abutting the surface is shown. The pathology confirmed cavernous malformation.